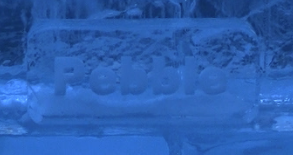 Pebble is named after Pebble Island. Pebble Island is the third largest island that makes up the Falkland Islands. It is one of the 22 areas in the Falkland Islands that is considered an Important Bird Area by BirdLife International. There are about 40 species of birds that live or breed on Pebble Island including southern rockhopper penguins, macaroni penguins, Magellanic penguins and gentoo penguins. The next time you are visiting the Aquarium try to find Pebble hopping around the rockhopper island. 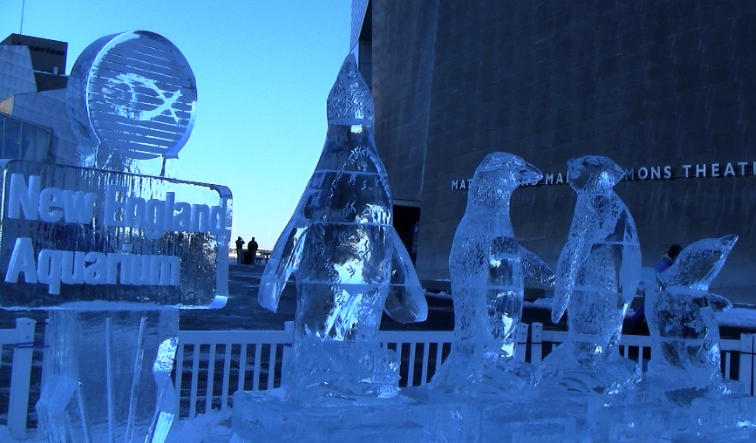 If you are visiting the Aquarium over the New Year holiday weekend, you will also be able to a representation of Pebble carved from ice in our penguin-themed First Night ice sculpture. 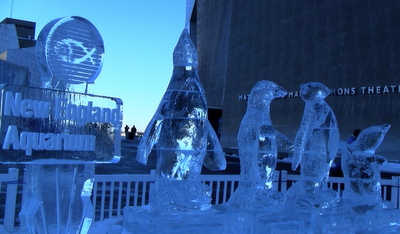 Look for Pebble in the First Night ice sculpture on the Aquarium Plaza! Her name is written in the ice.